No Engraving Block Text FREE! Script Text FREE! 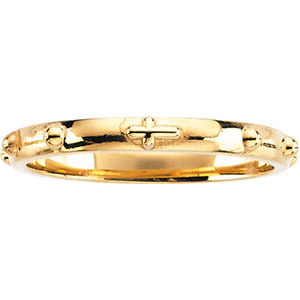 14K Gold Rosary Ring. 2.5 mm wide. Available in yellow gold and white gold in whole finger sizes 4-12. Personalize your rosary ring with inside ring engraving. FREE ENGRAVING for a limited time. Made to order.